Technology is moving credit unions forward and young professionals are needed to lead the way. Find out more at the next Not for CEOs event. 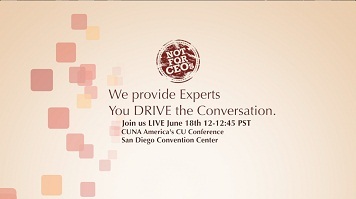 For the June 18 Not for CEOs event, produced by Credit Union Times and sponsored by CO-OP Financial Services, we’ll bring you experts to discuss how technology is moving credit unions forward and how young professionals can help to get them on board.